Unfortunately finding a job in today’s market is NOT easy! Finding a job quickly can be a thing of the past with it sometimes taking many weeks or months just to get an interview. Businesses have been cutting back where they can to save money and jobs just aren’t *out there* like they use to be. It can be disheartening and a little frightening when you find yourself out of work, especially if you have been laid off, it can be hard struggling to get your head around losing your job and then you have to pick up the pieces and find a new job quickly. While you may desire a break at last, to unwind and gather your thoughts – DON’T. You need to pick yourself up and start that job search straight away – you need to stay focused and determined. 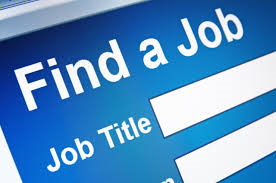 Here are a few suggestions on how to find a job. Consider contacting a past employer – especially if you left on good terms and ask if they have any vacancies open that you’ll be right for – of course you can never expect your *old job back*, but they may have an opening you are suited to. If you are still in touch with any past co-workers give them a call and let them know you are looking for work. Contact your past supervisor or manager and hint that you are open to returning to work for them. Sometimes previous employers are happy to re-employ someone rather than go through the hassles of training someone new. It is cheaper for them, plus they know your previous work record. Of course if you left on bad terms, or don’t like the job or people you are best off looking elsewhere. Keep an open mind and perhaps look at things from a different or new perspective. Take the time to consider a change of career entirely or going back to a past career. People can look at changing jobs, or being forced to change jobs as a time to re-evaluate and look at other alternatives. Do you want to stay in the same industry, or is it a time to start something new? While going back to a previous employer may not be high on your want list it can be a good way to get back into work quickly, you can always look at this option as a stepping stone to earn money *NOW* while you look for a better job. Social media has become a great way – and the new way to find a job. Sites such as LinkedIn and Face Book can help you find work quickly. If you are already a member of any social networking sites let your friends, family, co-workers and acquaintances know you are looking for work. You may have someone on your list that knows of a job opportunity that would be perfect for you. Thanks to social media it is a lot easier to find work today than ever before. Consider below Six steps to find a New Job.